In case you’re not currently suffering through 30 degree heat with no air-conditioning like I am and have somehow missed the memo: it’s summer. However, this gorgeous new essie Summer 2016 Collection includes a mix of polishes perfect not only for the hot weather but all the way into the winter as well. I mean, they’re really too pretty not to wear year-round. essie Berried Treasure is a bright ruby berry creme polish which has a fantastic formula that’s basically opaque in one coat and super even, although I ended up using 2 coats because…habits and polish paranoia. essie Coconut Cove is a slightly off-white creme that’s a bit thick, but it was opaque and even in two coat which is super impressive for a white. 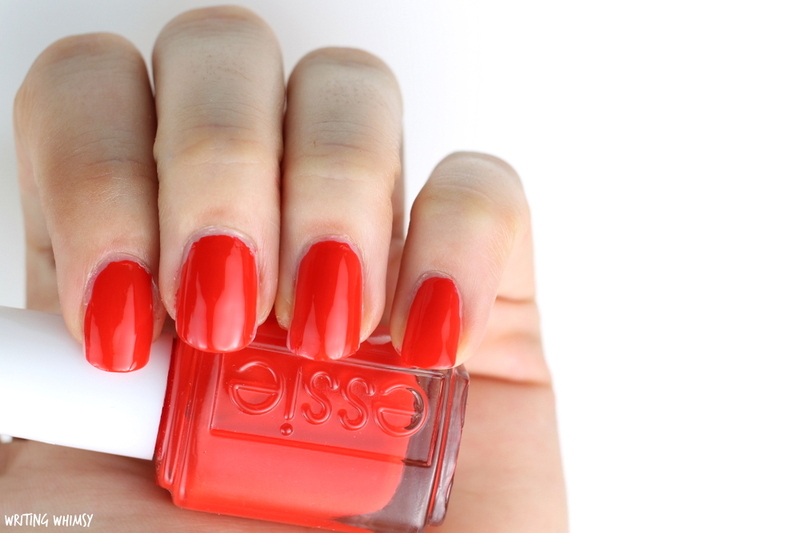 essie Hiking Heels is a poppy orange that’s very glossy and pigmented, however the formula is a bit of a crelly, so I could still see VNL with one coat. I went with 2 coats but that VNL was still lurking–only up close though, and it still looks great. I did find it could stain my nails though. 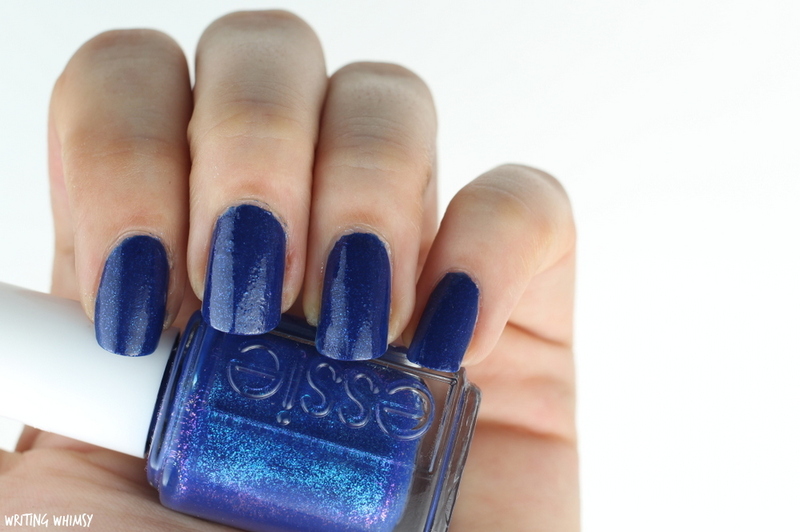 essie Loot the Booty is a blue polish with iridescent purple and light blue flecks. It’s absolutely gorgeous but the flecks in the bottles are definitely more numerous than on the nails sadly. I found it a bit thick, so it required 1-2 coats depending on how thick the coats were applied. essie Tribal Text-Styles is a black with silver iridescent flecks in it–this shade does translate from the bottle onto the nail that way. Two coats, and although more of a fall shade to me, has an amazing formula. essie Viva Antigua! is a turquoise with iridescent flecks in it. I used 2 coats, but you can still see a bit of visible nail line, but it doesn’t bother me too much since from a regular distance it does look opaque. It’s really pretty in person. 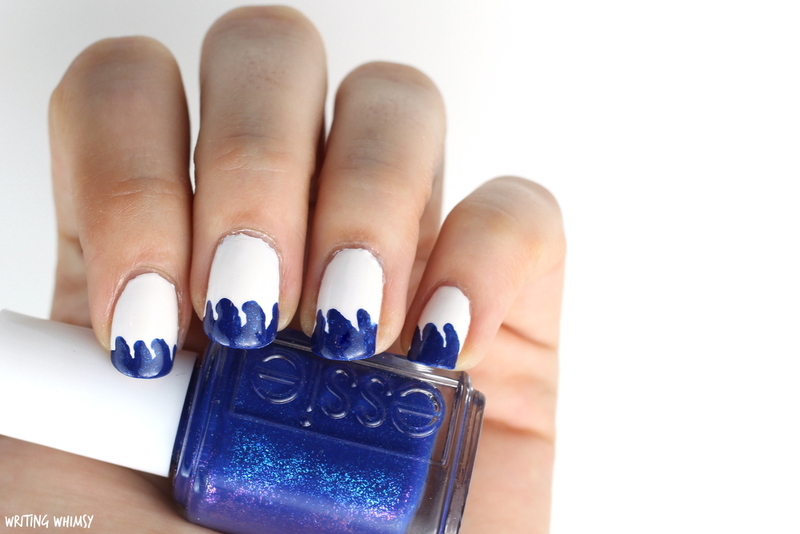 I also created some nail art using the essie Summer 2016 Collection. I used Coconut Cove as my base and then applied Loot the Booty using a dotting tool to create a ‘wave’ effect for an ocean-inspired look I was pretty proud of. I definitely want to work on my amateur nail art skills. 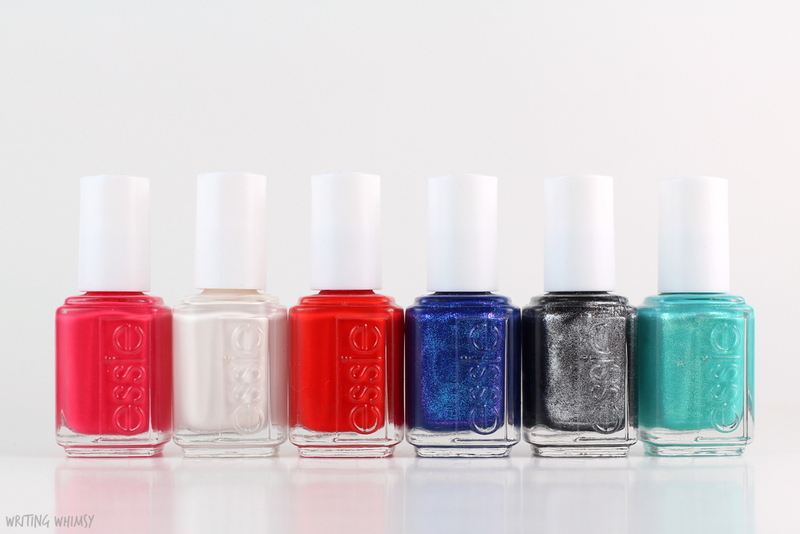 Honestly, super-impressed by the entire essie Summer 2016 Collection. There’s not one shade that didn’t apply well and there’s a gorgeous range available. My favourites are definitely the ones with all the flecks, so pretty! Do you have a favourite shade from these six?